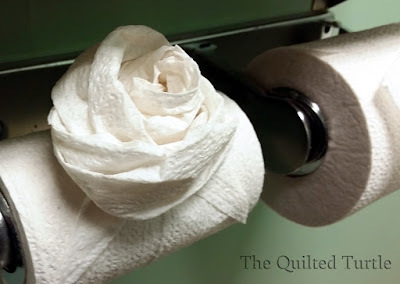 Until last week, I'd never seen a toilet paper rose. Now I'm just wondering, did my doctor's office recently got a new cleaning person, or has some lovely woman been quietly leaving them all over town? Either way, it put a little much needed joy into my morning. Wow...I have never seen a TP Rose...very nice! OK, the thought of someone going around town doing this just made my day.